Cyclone Air Cooler is designed with the aid of our advanced technology. Cyclone Air Cooler is available in modular design to easily fit in any application. We are manufacture wooden cooler. We have 3 size in it 20'', 16", 12". Keeping the diverse requirements of clients in notice, we are involved in providing Commercial Air Coolers. 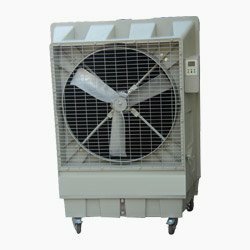 These coolers come with patented fan system with strong wind speed but lowest noise and high cooling efficiency. We have acquired a distinct position in the market for providing our commercial air cooler. Our Air Cooler is designed in a way so as to suit the demands of varied clients. 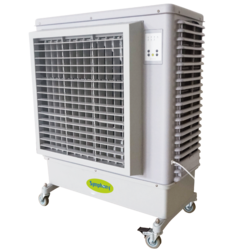 Due to its special features like low power consumption, effective cooling and minimal maintenance, this cooler is widely demanded in the market.